Almost everyone knows that you should fill your plate with the “colors of the rainbow”, that the more colorful a veggie is, that the more healthy it will be. Color shows the presence of carotenoids, which are the antioxidants that give your veggies their biggest benefit. So, many of us assume that veggies that are bland in color, such as plain old white cauliflower, are probably lacking in the health department. 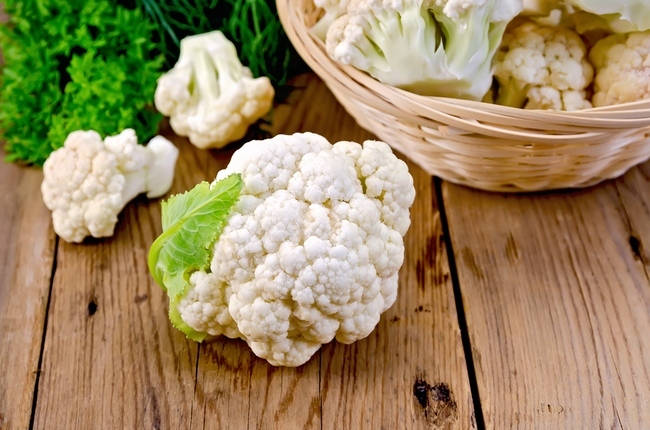 Although it’s true that cauliflower does lack some nutrients, such as chlorophyll, because their leaves cover the part we eat from the sunlight, but there is still plenty to love about these snow white veggies. In fact, when cooked properly, cauliflower has a higher concentration of some very essential nutrients than many other fruits, veggies, or other whole foods. Check out the top 5 reasons you should be eating more cauliflower. Although they might be lacking chlorophyll, cauliflowers do have huge quantities of sulforaphane and I3C (indole 3 carbinol). These two compounds were found to have strong anti-cancer benefits. A study published in December of 2008 in Carcinogenesis, showed that sulfurphane decreases the rate of mammary tumors in animals. I3C has been shown to prevent cancer by increasing the enzymes in the body that flush toxins, as well as carcinogens, out of the body before they can cause harm to cells. I3C has anti-tumor compounds and is a proven anti-inflammatory that can help treat numerous conditions. There have been literally dozens of research studies done that show diets that contain cauliflower help prevent cancer, especially breast, bladder, colon, prostate, and ovarian cancers. The connection between this vegetable and cancer prevention should not shock anyone, since cauliflower give special nutrient support for several body systems that are connected to both cancer prevention and cancer development. Cauliflower resists cancer and kills the enzymes that cause cancer. The American Journal of Hypertension published a study that showed the sulforaphane in cauliflower greatly reduces blood pressure. Since cauliflower has both antioxidant and anti-inflammatory compounds, eating this veggies will greatly reduce the chronic inflammation of the blood vessels. 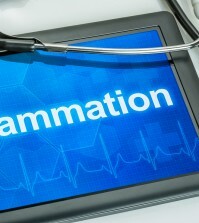 When chronic inflammation is reduced, the blood vessels continue to allow excellent blood flow to all the essential organs in the body, including the heart and brain. Although many doctors have not always viewed cardiovascular problems as having an inflammatory component, but the part that chronic inflation plays in causing problems for the blood vessels of the body, and its circulation, has become increasingly important to our understanding of cardiovascular diseases. Sulforaphane can actually kick up the amount of anti-inflammatory activity in the body’s cardiovascular system, but it can also help prevent, and possibly even reverse, damage to the blood vessels. Cauliflower also contains alllicin, which studies show can reduce heart disease as well as strokes. 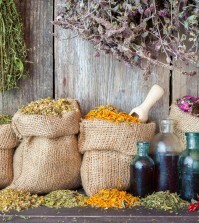 Read more about herbal remedies for high blood pressure. Just one cup of boiled cauliflower has 12 percent of our RDA (recommended daily allowance) of fiber. 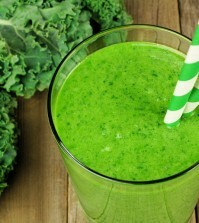 Fiber is extremely important to the body as it cleans out our digestive system of accumulated waste. Cauliflower is also rich in glucoraphanin, which is found only in this veggie and broccoli. Glucoraphanin is the precursor to sulforaphane and has many, many benefits for the digestive system. Cancer Prevention Research published a study in 2009 that showed that sulforaphane that comes from glucoraphanin had an almost protective effect on the lining of the stomach. It was especially effective at guarding us from bacteria called Helicobacter pylori, which is thought to be the root cause of stomach ulcers and stomach cancer. Eating more cauliflower will then not only protects your stomach from ulcers and cancer, the important fiber will help detox your entire digestive system by cleaning it out with its high fiber content. Just like its cousin broccoli, cauliflower is a great natural source of the B vitamin choline. This compound is an important precursor to the neurotransmitter acetylcholine. An increase in choline intake is linked to an improvement in overall cognitive function, especially among fetuses. A study published in 2010 showed that pregnant women who had a deficiency of choline, had fetuses with reduced blood vessel growth in the brain. This study was published in NIH Research Matters. Cauliflower is full of important B vitamins such as B1 (thiamine), B2 (riboflavin), B3 (niacin), B5 (pantothenic acid), and B6 (pyridoxine). It’s also a good source of folic acid, otherwise known as B9. It has those healthy omega-3 fatty acids as well as vitamin K. It’s also a surprising source of protein, phosphorus, and potassium. Cauliflower is also an excellent source of vitamin C and manganese; both of these are powerful antioxidants, which can stop premature aging. One website, the World’s Healthiest Foods, cauliflower has more vitamin C , ounce for ounce, than almost any other fruit or vegetable. Of course, the best way to eat cauliflower is to eat it raw, but for those who don’t like that much crunch or aren’t fans of the flavor, try steaming it or boiling then mashing and serving it much like potatoes.